End of the month. Could it be the end of the NL East race? Charlie doesn’t like to have many clubhouse speeches. But, boy when he does, things happen. Riding the long ball again, the Phillies reduced the magic number to one last night after Charlie had talked to the team. Feliz got his first ever curtain call after his grand slam homer put the Phillies on top for good. It was his 150th hit, a career high. Back in August, the Marlins swept the Phillies in a weekend set at Citizens Bank Park. Charlie got hot and let the team have it post-game. Result: 11 wins in next 13 games. Now, the focus shifts to tonight and Pedro Martinez on the mound. Who would have ever guessed in spring training that Pedro would be the starter in the clinching game? **3,422,583 is the Phillies attendance record set last year. That mark will be broken tomorrow night. **848 wins so far this decade, best in club history. **324,767 number of dollar dogs digested (or indigested) this season. **68 multi-hit games for Feliz in 2008-09; Phillies record in those games: 76-12. Phillies Insider is on twitter as barons63. The higher the opponent’s ERA the more the Phillies puzzling offense seems to flutter or sputter or whatever. That’s the way it seems to be going lately. Three batters into the first inning, the Phillies had a run. That was it until the sixth as Bazardo (9.55 ERA) quieted the Phillies bats and another sellout crowd armed with rally towels. Bazardo was in the Phillies spring training camp as a non-roster invitee but released in March. Six months later he wins his first major league game in two years. That’s the way it seems to be going lately. Despite scoring the second fewest runs in the NL during the season, the Astros produced eight runs to win their fifth straight against the Phillies and run their Citizens Bank Park record to 11-5, best among the enemy. Last time the Phillies lead was at four games? August 15, after the Braves beat the Phils in Atlanta. On September 9, the Braves were third, nine out. They’ve gone 15-2 since then (both losses to the Phillies) to pull within four games of the NL East lead and two in the wildcard race. Happiness now rests with Happ, who has been the Phillies most consistent starter. He’ll face a rookie pitcher (Wilton Lopez) making his first major league start tonight. His ERA? 10.38. Oh, brother. FOX has chosen Saturday’s game with the Marlins for a national telecast, starting at 4:10 p.m.
Chris Wheeler will sell and autograph his new book, View From The Booth, on the main concourse behind Section 111. The time has also been moved to 2:30 p.m. to 3:30 p.m.
For the third straight year, the Phillies have a chance to clinch the NL East at home. That’s never happened before in team history. Sold out Citizens Bank Park will be jumping tonight as it turns into rally towel city. Passionate Phillies fans certainly left their mark at this time last year and throughout the entire postseason. While tonight is a sellout, there are tickets available for the next three nights. Tough road trip (5-5) left the Phillies with baseball’s best road record (48-33) and the NL’s most home runs (116). The wins match the club record set in 1976. While some of the players struggled on offense on the trip, the Big Piece didn’t. Ryan had 16 hits (5 homers) and 19 RBI in 10 games. He’s certainly become Mr. September (.313, 43 homers, 104 RBI…..all that BEFORE this year). After a tough start at home, the Phillies have gone 29-10 since July 3. They’ve won 7 of their last 8 at Citizens Bank Park, including the last 5. Houston swept the Phils in four games earlier this month so it is time for revenge. Before everyone gets too giddy, focus needs to be on tonight. One game at a time. We’re down to the final road weekend of the regular season. Magic number is four. Will it happen in Miller Park or Citizens Bank Park? Team flies home Sunday night for the final homestand, four games with the Astros starting Monday night (sold out) and three with the Marlins next weekend. Glover Cleveland Alexander won 28 games as a rookie in 1911. That’s a Phillies record that may never be broken. Heck, no one in Major League Baseball has matched it. Left-handed pitcher Cliff Lee is the second Cliff Lee to wear a Phillies uniform. Clifford Walker Lee played four seasons for the Phillies starting in 1921: 1B, OF, C, 3B. Pretty good hitter, .308, .322, .321, .250 with the Phils; .300 for eight big league seasons. I’m sure you will sleep better tonight knowing this. What is Dave Huppert’s role and uniform number? After managing Lehigh Valley, Dave was brought to the big leagues for the rest of the season, a pattern the Phillies have been following for years. His number: 58. What is the deadline for the Division Series roster? 10 a.m. the day of Game 1, which is October 7. Keeping with Charlie’s sermons: play one game at a time and focus on today. That means last night is history, gone, painfully gone. Time to look toward tonight’s game in Milwaukee. Brad threw some nasty pitches and some “cookies”, a term pitchers use for hit-able pitches. “It’s incredibly frustrating,” he was quoted after the game. Hitters and pitchers have slumps. Brad’s is lasting a long time. He’s had these in past years and came back. Inquirer baseball writer Andrew Martino wrote the other day, to win again you need talent, health and luck. There’s no doubt there is talent on this club and that includes Lidge. Health, well, that’s an issue right now with multiple guys hurting. Luck, could use some. Want to know who led Lakewood in hits, average, homers, RBI? 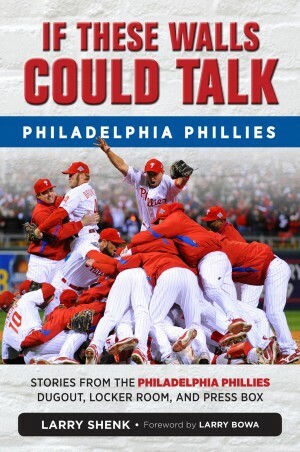 Phillies Minor League affiliate news has that information and a busload of other notes from the just-completed 2009 season. Sometimes pitching matchups can turn out to be miss-matchups (Webster’s dictionary doesn’t recognize this as a word, but who is Webster anyway?). Take last night for example, a strange doubleheader split. Joe Blanton vs. Josh Johnson in the first game. Joe had pitched well against Florida since coming to the NL. Johnson came in with a 3.01 ERA, 15-4 record and having allowed 3 or fewer runs in his last 5 starts. Result: Phillies 9, Marlins 3. Blanton worked 7 scoreless innings for the win, improving his overall Phillies record to 15-7. Johnson gave up 4 runs (5 innings) for the first time since August 20 and lost. Jamie Moyer vs. Anibal Sanchez in the nightcap. Moyer was 13-3 lifetime vs. the Marlins, 8-0, 1.37 in Miami. Sanchez had a 4.50 ERA, 2-7 record, riding a 3-game losing streak and hadn’t worked longer than 6 innings since coming off the DL on August 21. Result: Marlins 3, Phillies 0. Jamie kept us in the game and gave up 3 runs in 7 innings, but Sanchez allowed just 2 hits in 8 scoreless innings. Most important: magic number was reduced from 6 to 5 games. Now, focus shifts to tonight as Cole takes the mound. Club then hops on another Delta charter for a flight to Milwaukee for the last regular-season road series, four games in four days starting Thursday night. Phillies clinched the NLDS in Miller Park a year ago and could clinch their third straight NL East title in same place. Another strange twist to last night’s first game….we struck out 16 times and still won. It is the most strikeouts since the Mets’ David Cone ended the 1991 season at Veterans Stadium by punching out 19 Phillies on a Sunday afternoon, Oct. 6. 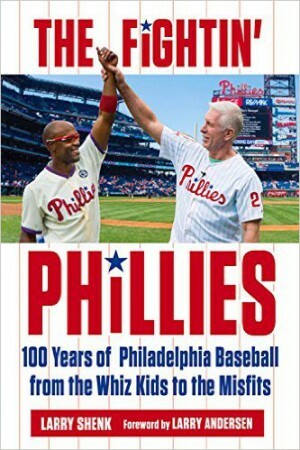 To appease your curiosity, the Phillies strike outs that day: SS Kim Batiste 4; LF Wes Chamberlain and C Doug Lindsey, 3; RF Dale Murphy, 1B Ricky Jordan and CF Braulio Castillo, 2; 2B Mickey Morandini, 3B Dave Hollins and 1B Jim Lindeman, 1. RHP Andy Ashby, the loser, was the only Phillies starter that didn’t strike out (1 AB). Last time we had 16 strikeouts in a 9-inning game? Back on September 17, 1984 and we won that game, 2-1 over the Mets. Dwight Gooden lost the game on an eighth-inning balk. Phillies Insider appears on twitter as barons63. Everybody knows the Phillies have power. Heck they lead the NL in homers, runs, RBI, extra-base hits, total bases and slugging percentage. Everybody knows their starting pitching is strong and the bullpen is thin right now because of injuries. There are two other phases of the game that get little attention, defense and speed. Phillies fielding percentage is .988, second best in the NL. 68 errors are third fewest in the majors. They’ve allowed 31 unearned runs, the stingiest in the majors. Their speed translates to some awesome base-stealing numbers: successful 82.7 percent of the time, best in the majors. Of their last 43 attempts, they have been successful 40 times. 105 total steals, 4th in the NL, topping 100 three straight seasons. Yep, Howard has seven steals in 147 games. Before this season, 2 in 572 games. ESPN will carry Wednesday night’s game, subject to blackout rules in the Philly area. Todd Zolecki has a feature on Cliff Lee today. He’s never pitched in the postseason. “I’m anxious to see how loud they (Philly fans) get in October,” Lee said. They are loud, trust me. Florida Instructional League is underway at Bright House Field in Clearwater, FL. Games end October 10. A reminder, the Phillies do not play tonight. On some of the early editions of the Phillies schedule we are listed for a 7:10 game in Miami tonight. That was before the NFL scheduled a Monday night game in Land-Shark Stadium. So, there is a 4:10 double-header tomorrow with the second-place Marlins who trail the Phillies by 8 games with 14 to go in the regular season. In taking two of three in Atlanta, the Phillies followed a different pattern. In their five previous games, the starting pitcher went deep into games. Over the weekend, Happ and Martinez left early because of minor ailments and Lee was shut down after a 111-minute rain delay yesterday. Three starters: 10 total innings. The thin bullpen took over and picked up two wins and a save. Good to see Clay Condrey back in action. Healthy relievers have become a premium for the Phillies. Brett Myers and Jack Taschner are the latest to not be available. While there was one unearned run allowed by the bullpen in the three games, Brad yielded what I consider a tainted run. The runner on first base advanced to second on “defensive indifference” and scored on a two-out single. That has happened against Lidge more than once. Seems as if the baseball rules committee should consider looking into defensive indifference runs. Should such runs pad an ERA or not? ESPN will carry Wednesday’s game in Miami, subject to blackout rules in the Philly area. Dusty Wathan and his Lakewood BlueClaws won the South Atlantic League Championship on Friday in Greenville, SC. First-year centerfielder Anthony Gose hit .407 in six postseason games for Lakewood with 3 stolen bases, all coming Friday night. BlueClaws will receive their championship rings during spring training next March in Clearwater. Team left after Thursday night’s win for Atlanta and the start of the final regular season road trip, a 10-game toughie against the Braves (three), Marlins (three, including a doubleheader) and Brewers (four). Hamels was sharp again. He’s on a September roll after an empty August. When he allowed a run in the seventh inning, it broke a streak of 29 scoreless innings by the starters. Previous run was allowed by Kyle in the eighth inning of Sunday’s afternoon game. The 29 innings was the longest since a 37-inning streak in 1969. Phillies continue to have the best road record in the majors, 43-28, even losing 6 of their last 8. Earlier in the season, they won on the road and lost a home. That’s turned around. Since July 1, Phillies are 28-10 at Citizens Bank Park which puts them at 42-32 with 7 more home gmes. Last night was good news, bad news. For the third straight game, the Phillies got shutout pitching by a starter. Joe struggled a bit with his control but kept the Nationals off the scoreboard. This team can beat you many ways, pitching, defense, power, speed. Chase stole home as part of a double steal, giving the Phillies two steals (Jayson vs. LA) of home this season. Last time the Phillies had a pair of steals of home was 1997, Scott Rolen and Kevin Stocker. Chase has a career-high 20 steals, making him the 10th player in team history to have that many steals and 20 homers. He hasn’t been caught stealing (23) since last Septembeer.He is some kind of offensive machine. As a team, the Phillies have stole 23 consecutive bases. Last caught stealing was August 2. Jayson put the icing on the cake with a grand slam, extending the club’s season record to 10. The old mark was 8 set in 1993 and tied in 2005. Now, the bad, Chan Ho, a very valuable and reliable part of the pen, pulled a hamstring, apparently a bad pull. He’ll be reevaluated today and Todd Zolecki will have an update later. J. C. is getting closer to returning, Clay is back, Eyre is still unable to pitch in a game. The bullpen played a huge part in winning everything a year ago. Ruben, Charlie and their respective staffs will meet prior to the start of the playoffs and picking a 25-man roster will be difficult. Inconsistent and injured relievers are the biggest concern at this point. Rosters can be changed for each playoff series.